The kitchen is the place that most household fires begin, with cooking being the number one cause of fires and fire injuries. As winter weather sets in, we’ll all be staying inside more and that means a higher risk of fire damage. To prevent having to call us for fire restoration in PA, here are some tips on preventing kitchen fires. Stay With Your Food. Never leave your pans unattended while cooking, even for a minute! Not only do you risk ruining your delicious dish, something could spark or ignite and cause more than a burnt dinner. Clear the Area. Keep stuff that could ignite away from your cooking area. Things like pot holders, oven mitts, rags, food packaging, paper towels, and more could catch on fire even if they’re not near an open flame. Keep it Clean. Make sure your cooking surfaces are free of build-up. 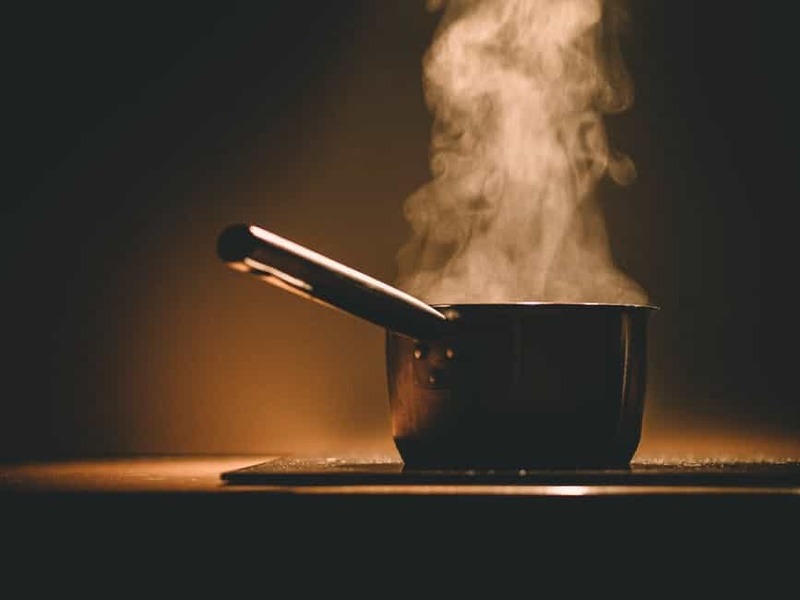 Leftover grease can cause a fire and keeping your area clean is a great way to prevent having to call us for a fire restoration in your PA home. Dress Appropriately. Flowy sleeves, oversized shirts, and even aprons can catch fire in the kitchen. Watch your clothing to ensure it doesn’t dip into open flames or get caught in a hot spot. Dispose of Grease Correctly. Never, ever, ever throw hot grease in the trash. Even if the grease isn’t on fire, it can spark something in the trash through its high heat. Wait till the grease has cooled and put it in a container, then throw it in the trash. Fire Extinguisher Ready. Keep a working fire extinguisher in the kitchen at all times. If the worst happens and a fire sparks, you’ll be prepared to put it out quickly to save having to undergo a complete fire restoration in your PA home. In addition to following these steps, make sure you have working smoke detectors throughout your home. A smoke detector could mean the difference between life and death or a total home loss that can’t be repaired by our expert fire restoration team in PA. Should you experience any catastrophes, contact us immediately to get your life back to normal.